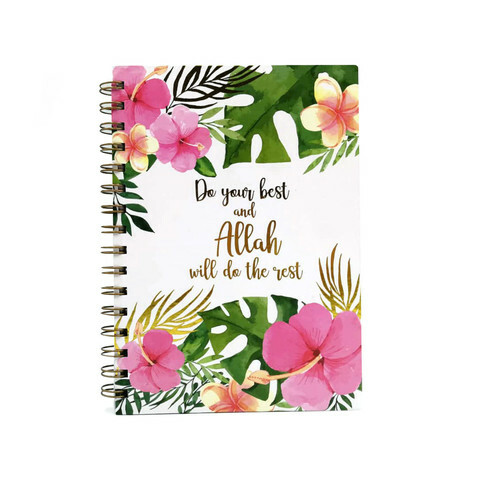 Write your ideas, plans or diary in this wire-bound Dua Gifts Wire-O A5 Notebook. 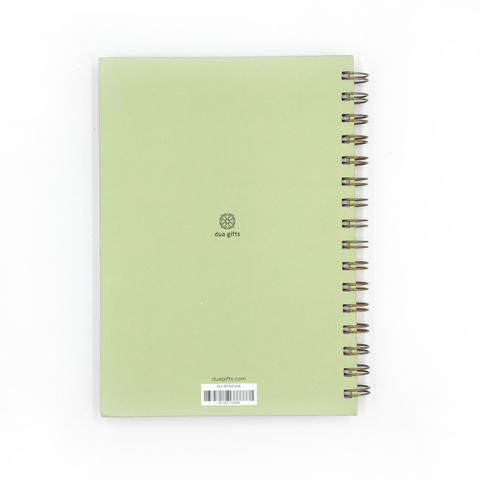 With hardcover binding, it protects your important notes wherever you go. 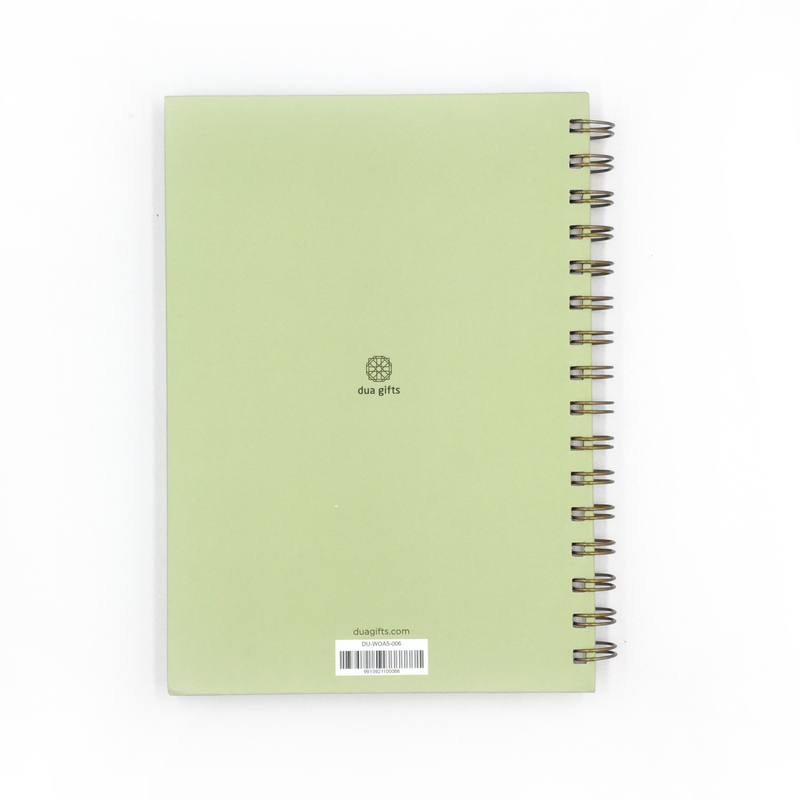 The Dua Gifts Wire-O A5 Notebook comes with a contemporary design that blends right into your home, office, or personal desk. Let a sense of calm wash over you with the soothing pastel floral designs – a visual therapy for any time of the day. 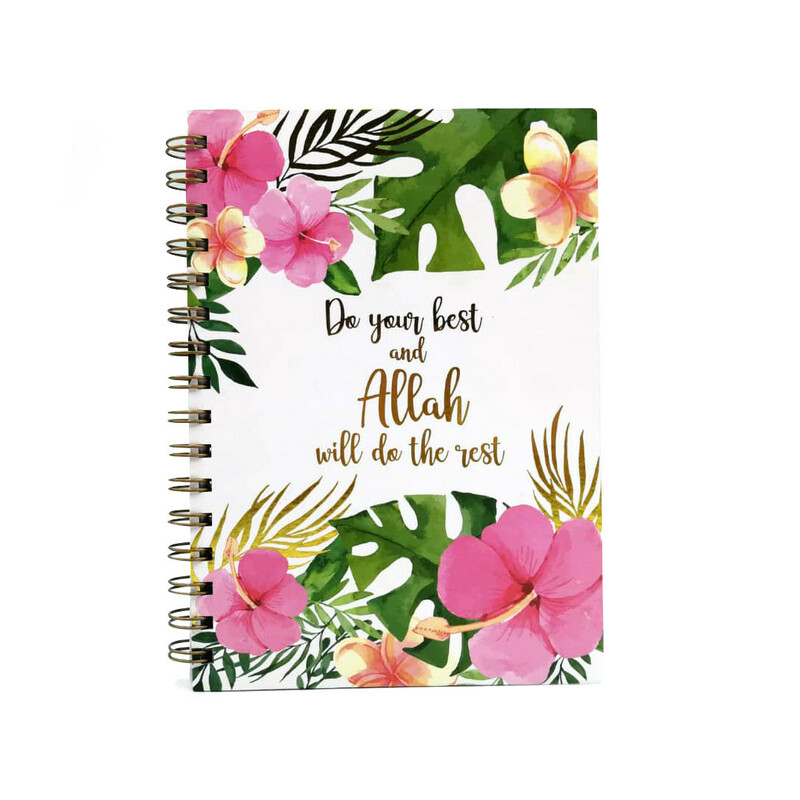 Each Dua Gifts Wire-O A5 Notebook “gifts” you with a powerful message that calls upon your inner peace, ease and gratitude. 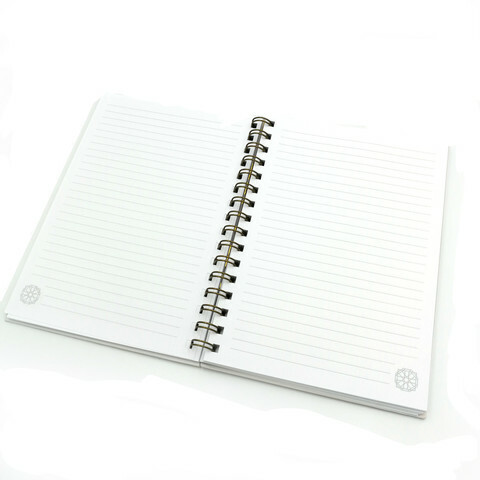 The message on your Dua Gifts Wire-O A5 Notebook is often short and sweet, yet beautiful to hold on to. 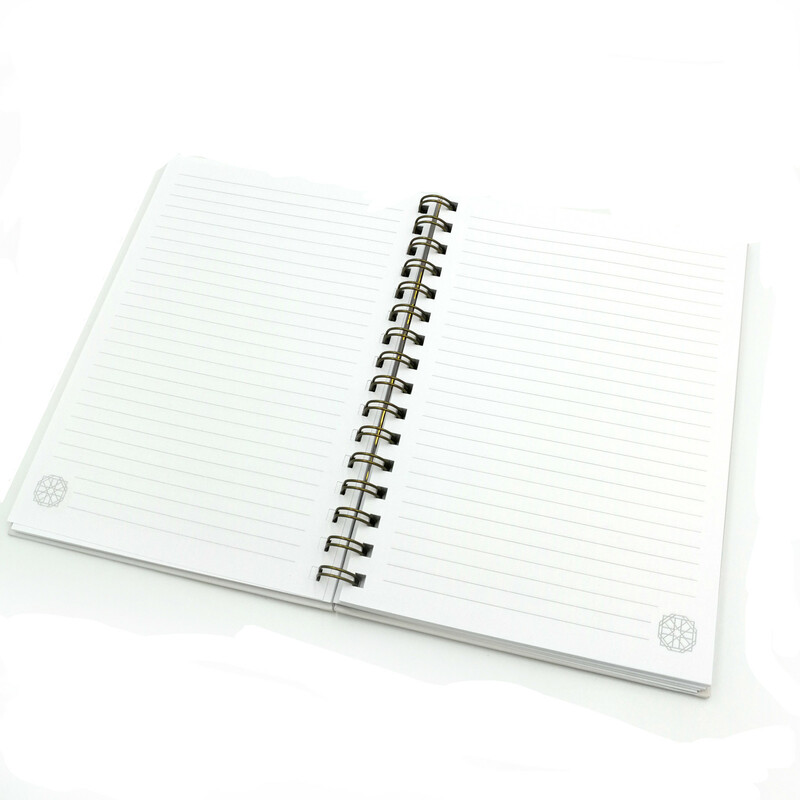 We make our Dua Gifts Wire-O A5 Notebook with extra love and care. As it arrives in your hands, we hope you cherish it like we do. 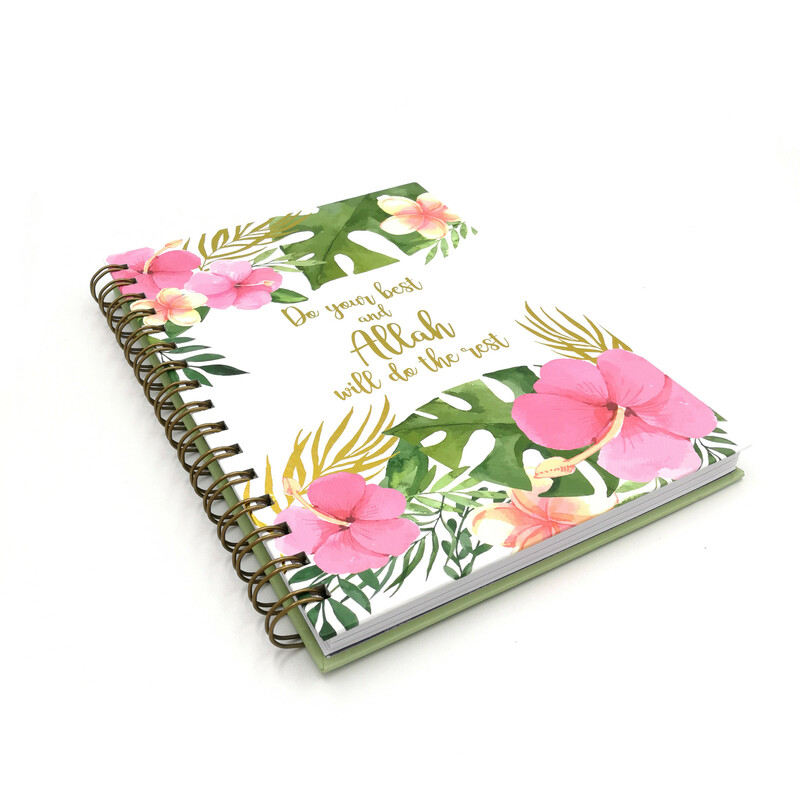 Use it often and keep it close – so that you’re always reminded of your goals!